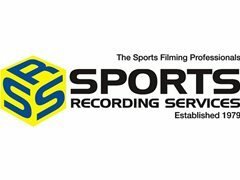 We are a National Sports Recording Company looking for experienced camera operators to join our team in Melbourne. We cover sporting events/games such as Rugby, Soccer and VFL, from High School level to National Professional Level. Our company has been running for over 20 years, has 30-40 camera operators around Australia and New Zealand, and has worked with such clients as the Football Federation Australia, Australian Rugby Union and the Australian Football League. - It is mainly weekend work, but with the possibility of weeknight work every now and then. -You will be required to arrive an hour before kick off, film the game and then make USB copies of the footage to give to the teams and referees directly after. You will also need to upload the footage once you get home, to our cloud system. - Have a knowledge of video formats, mainly MP4, and have experience uploading video to cloud platforms such as dropbox or Youtube. - Need to know at least the basic rules of Soccer, Rugby and AFL. Or at least be willing to learn. ROLES FILING FAST. IF YOUR HAD EXPERIENCE FILMING FOOTBALL EVENTS, PLEASE APPLY. Please provide details of your past experience. Also may suit people studying in this field.